Many of the pumps available to food and beverage manufacturers only offer one or two outstanding features. This lack of versatility increases costs and compromises product quality. Utilizing pumps with limited capabilities often results in the need for secondary equipment investments. Additionally, using these pumps can lead to inconsistent batches and subsequent ingredient losses because they are unable to perform certain functions reliably. Further, in this age of mass customization, these performance limitations can restrict a plant’s overall agility in responding to changing consumer preferences. Batch inconsistencies and product quality issues are eating into your profits. Many pumps have just one or two primary strengths. They handle these tasks very well but have demonstrated performance weaknesses in other areas. Common challenges include inaccurate in-line dosing, uneven flow rates and high pulsation. New quaternary diaphragm pumps for the sanitary market are overcoming these challenges and providing plant managers with an equipment option that offers reliable performance across a wide range of feature sets. Contaminants resulting from equipment wear result in product losses. Many traditional pump designs include mechanical seals and rotating parts. When they wear down (or fail altogether), metal contaminants can be introduced into the product. 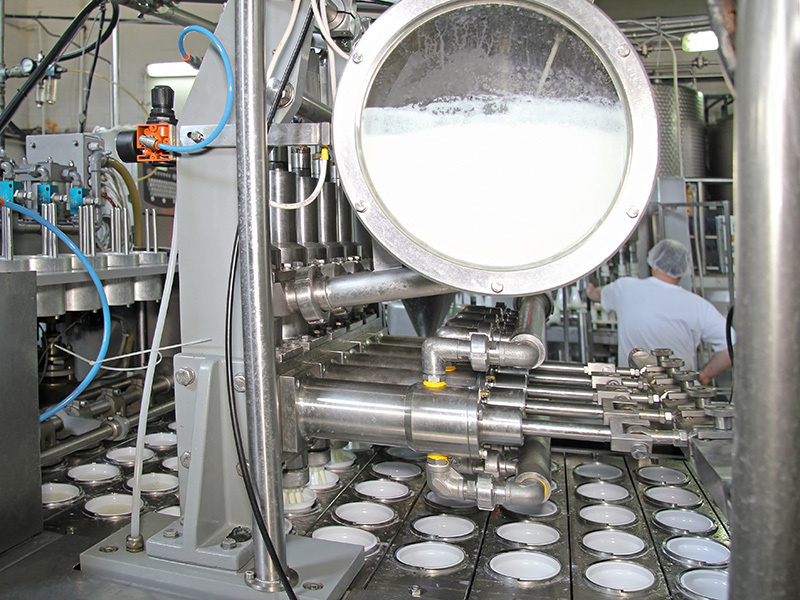 This not only results in batch contamination, but production must be stopped in order to perform maintenance. New seal-less pump designs eliminate this challenge. Unavoidable Clean Out of Place (COP) procedures require extensive disassembly of the pump. High-viscosity products may require COP because a solution alone won’t sufficiently clean the equipment. In these applications, operators need the ability to easily disassemble the pump. Pump manufacturers are engineering COP pumps with as few as three removable parts. This design enables operators to disassemble the pump quickly, which helps support a repeatable, efficient COP process. Reach out to a Triangle Process Equipment representative to learn how advancements in pump technologies can improve batch consistencies and reduce ingredient waste at your facility. To learn more about how today’s pumps are becoming more versatile to save food and beverage manufacturers time and money, download our white paper.